1. 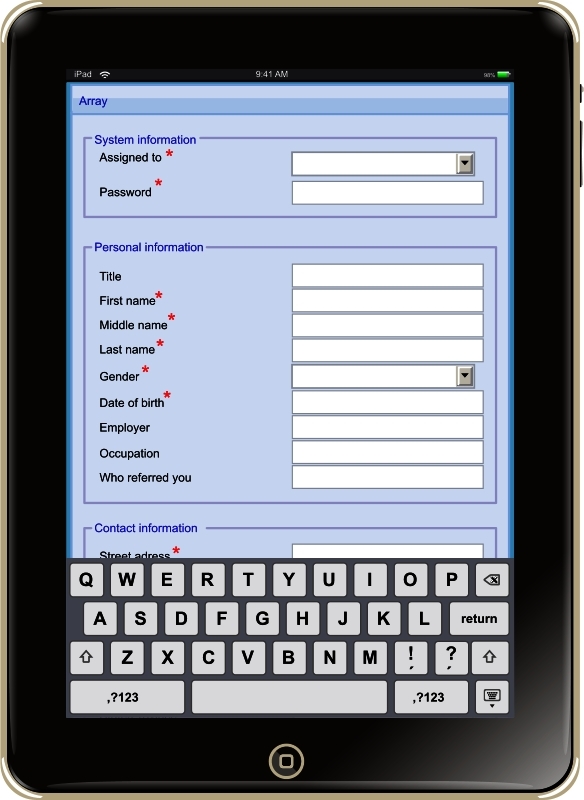 Design new patients' forms or modify the existing ones. 2. Allow your patients and prospective patients to fill and submit medical forms online, from your website. b) to fill-out your health form with a traditional paper form, clipboard and the pen. Is Your Health Form Digital? Implementation of Health Forms Online and use of other IT advantages depends on the culture and beliefs that are prevailing in your practice or your office. 1. Early Adopters - these are enthusiasts always looking for a competitive advantage. There could be many types of advantages, but skillful use of IT provides a strong advantage. 2. Pragmatists - these people do not like experiments and avoid risks and expenses. They only come on aboard of an idea, after everybody else in their reference group has already begun using it. 3. Laggards - do not like changing their habits and learning new skills. They always find reason, why it will not work for them. The idea for use of Dental Form Online came from a visionary employee of Downtown Toronto Dental Office, attentive and listening to the patients. The patients coming from the website did not like being handed the old-fashioned printed health form. Filling them out in the waiting room seemed like a not right use of their time. The IT technology used in our Custom Forms Online is adaptable to any use and environment. Let us explore your situation and and suggest use of this technology to improve your business or company.